As we get closer to fall and the sun is still blazing, it's the perfect time to incorporate your favorite jeans with a statement tank. 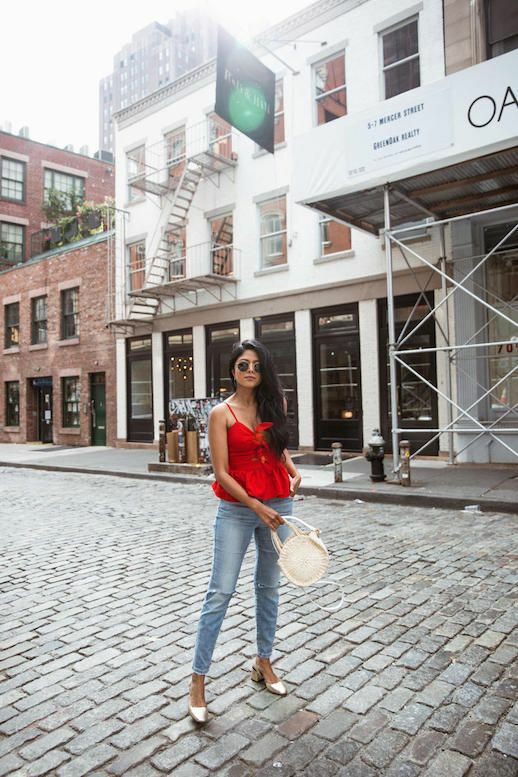 This blogger wore a cherry red tie-front cami with ankle-grazing denim and a pair of killer metallic block heel shoes. Don't forget to accessorize with the coveted straw circle bag! Weekend wear? Got it.